The inaugural World Encephalitis Day operated under the tagline, “Make Today your First,” and highlighted the fact that many people would hear about encephalitis for the first time in a hospital waiting room. 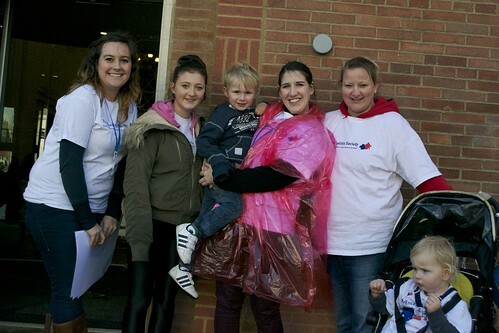 Supporters were encouraged to share information on encephalitis to raise awareness globally. One of those supporters was Simon Hattenstone, a survivor of encephalitis and journalist with The Guardian, who wrote: "Encephalitis is such a cruel disease because it is often misdiagnosed - even today. And that delay in diagnosis can have fatal consequences." The Society teamed up with the Institute of Infection and Global Health at the University of Liverpool to break a world record for the “largest human image of an organ” when 687 people descended on University Square, University of Liverpool, to stand together and form the largest ever brain made out of people. The world record attempt was choreographed by local artist Mike Badger and Daisy Solomon, the daughter of Professor Tom Solomon, the director of the institute and chair of The Society's Scientific Advisory Committee.